The new Eye Library in Suffolk opened January, a modern and purpose-built facility replacing the 'temporary' library building. 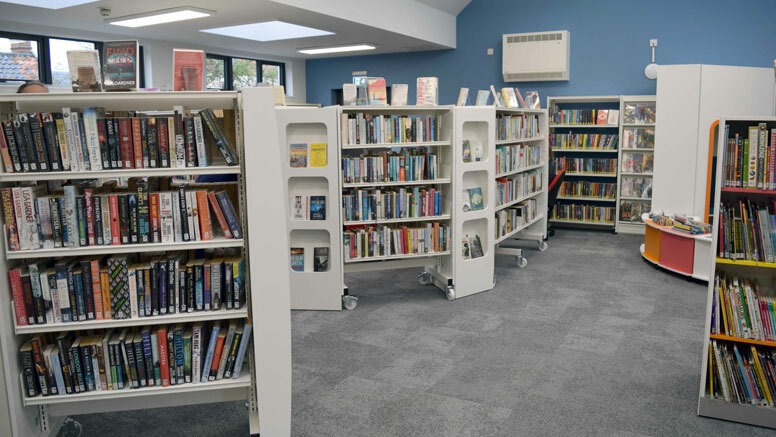 The new library in Cross Street was designed and overseen by Concertus Design & Property Consultants Ltd and constructed by building firm RG Carter during 2018, and handed over to Suffolk Libraries just before Christmas. Furniture is by FG Library & Learning. Katherine Williams, architectural designer at Concertus Design & Property Consultants Ltd, said: “We are delighted to have been part of this rare opportunity, collaborating with Suffolk County Council and Suffolk Libraries, to provide a brand-new library facility for Eye. The new library has wheeled shelving which can be moved aside to create more space for events and activities. It also offers accessible toilet facilities and an interactive information screen and a hireable meeting room. Like all of Suffolk's libraries, it will offer a range of books, DVDs and other items, activities for children and families, free wifi and internet access, printing facilities and information about the local area. The plans for the project were agreed by Suffolk County Council in March 2018, with the new building being funded by the sale of the current site where the library has been for around 40 years. The old building was never designed to be permanent and the new library will provide a modern and purpose-built facility for the residents of Eye and surrounding areas to enjoy. A fully revamped Children’s area with feature StoryWall (including shelving, display, storage and a Seating Cave suitable for children and parents to read together) a bespoke seating/kinderbox, woodland theme with applied graphics and themed seating/rug.